Welcome to our Elmhurst weight loss office where we proudly offer the Verju laser by Erchonia system. Our warm and friendly staff is here to work with you to help you achieve your personal weight and health goals. Dr. Abboud has created several weight loss programs to help patients improve their health and get their life back. Have you tried everything possible to lose weight but keep falling short? Are you ready to find the missing piece of your weight loss puzzle? Interested in learning more about the different weight loss and cellulite reduction treatments available at Weigh Less for Way Less? Call now to schedule an initial appointment at our Elmhurst weight loss office and get started today. We are located at 1200 S York St Suite 3150, Elmhurst, IL 60126, inside the Elmhurst Center for Health, on the Elmhurst Hospital campus. Elmhurst Center for Health is located on the east side of York Rd, between Butterfield Rd and Roosevelt Rd. For non-local traffic, we are located 1 mile east of both I-88 and I-294. 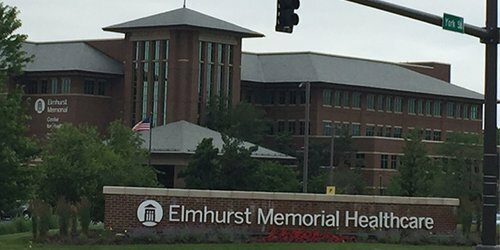 Patients can park in the designated lot for the Elmhurst Center for Health.